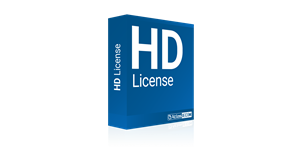 The HDEPLM license is required for every AtlasIED IP endpoint that includes CobraNet® or Dante™ network audio capability and that will be used with GCK® software in any network deployment. This license provides an activation key that enables the device to be used on the network and be managed by the GCK® software. Each connected endpoint requires 1 HDEPLM maintenance agreement.